How much money have we made from our free website critiques? Yep, a bit of a strange one! But we have made money from delivering free website critiques. In this blog post, we’re going to tell you how much we’ve made and what we did, and you can weigh up if you want to do something similar. Every Wednesday afternoon, we offer free website critiques in our Facebook group to anyone who wants one. The reason we’re talking about this is to get you thinking about how you can deliver content that helps others but also earns you money at the same time. It can be done, and in this post, we’re going to tell you exactly how we did it. 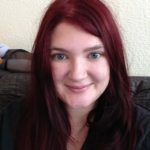 How do we earn money by telling people exactly how to improve their website? Some people think it’s pretty bonkers that we tell people exactly how to improve their websites. And you know what? The majority of the time, this is EXACTLY what happens. But it doesn’t bother us one bit. In fact, we’re over the moon when someone uses our advice to improve their website and get more leads and sales. All for free! What do we get out of giving free website critiques? I’ll start by saying that we don’t have an agenda when we deliver these website critiques other than to deliver helpful content. At the end of our critiques, we may mention our membership community or the full, paid-for website critique service, but more often than not, we don’t say anything. We’ve never worried about giving our time in exchange for nothing. If there’s one thing we’ve learnt in business, it’s that delivering excellent content pays. In this post, I’ll tell you exactly how it has paid us. 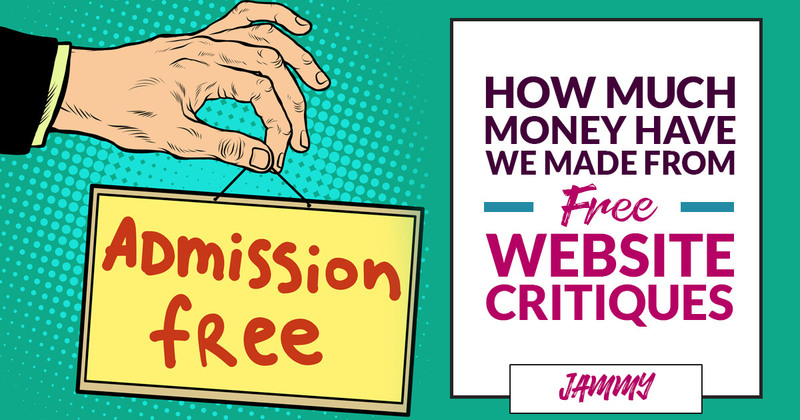 How much have we actually earned from delivering free website critiques? I’ll examine this from July 2018, since we started doing regular, consistent website critiques for those who requested it. One person decided to get their website redesigned because we did them a website critique. 10 members who we can directly link from having a website critique to joining our membership. Although, we’re pretty sure all our members have seen/been aware of our website critiques so we’re sure it’s had a much wider impact! One person was happy with their site but wanted further coaching on SEO and user experience. For 20-25 hours of our time, we’ve earned £8848. Now to some, that might seem impressive. Others might earn a heck of a lot more if they were given 20-25 hours of time to spend on marketing. But there’s also indirect leads and sales we’ve had which have come from these website critiques. We’ve also been invited into private communities to do website critiques for members, which has led to members in our community and sales. Finally, we’ve had people give us wonderful feedback following our website critiques over social media. Will it be worth it if you did something similar? If you’re thinking of doing something similar in your own industry and business, you might be wondering if it’s worth it. We believe in delivering great content, however, doing something like this is a commitment. Consistently is the key here. Were there some Wednesday afternoons when I had a raging headache and the last thing I felt like doing was smiling for the camera for no money at all? You betcha. But you’ve got to show up when you say you will. If you don’t think you can commit to it, don’t do it. When we first started doing these critiques, we didn’t see any return for some time. We enjoyed doing them, but, in business you can’t just do something for free for the fun of it. That’s just an expensive hobby. And as much as we love business, we’ve also got to eat. But, you have to be patient in the beginning. Set yourself a time limit of when it no longer becomes financially viable for you to do it. Could be 3 months, 6 months, a year, whatever you decide. People will ask you for your time and they won’t bother consuming your content. Don’t take it personally. Some people have asked for critiques and didn’t thank us or didn’t watch the video. When you give something away for free, sometimes, people don’t see the value in it. It feels crappy but you can’t let it get to you. Don’t expect showers of praise. 4. Promote like hell, even though it’s free! You’re giving away something spectacular for free, there’s no need to promote it, right? You need to promote what you’re doing, even if it is fantastic and free. I won’t lie, we’ve not done a lot in the way of promotion, but we do send out emails about it and promote via social media. We’ll look over your website giving you actionable advice on how to improve it for SEO, user-experience, copy and design. Have you ever done anything like this? How did it work out for you? Or are you thinking about offering something similar for your niche/business, but you’re not sure what to do? That’s amazing success, guys! I did wonder how profitable it would be but I never thought it would be possible to earn so much by way of a not-very-sales-at-all upsell. Fantastic! That’s so lovely, thank you John! Yes, we were quite surprised by the impact. I think giving something away that’s very bespoke to each person really did help. We’re not very ‘salesy’ but often you don’t have to be! That is great inspiration for us all regardless of industry. And, you deserve the success.